Trucks drive themselves hundreds of miles on public highways. Warehouse workers’ glasses tell them which items to pick. Overseas transactions worth millions are consummated with the flick of a wand. This is not your father’s supply chain. Heck, it’s not even your older brother’s supply chain. If you find your head spinning at the pace of change in today’s supply chain, we’re here to simplify things—a little. We’ve assessed the industry’s biggest trends and realized they can be described by the title of that old Jackson 5 song: “ABC”. Autonomous trucks get all the headlines. (We’ve written about them ourselves.) But automation’s more substantial impact is in the trenches, where supply chain pros are saving time and improving accuracy on a daily basis. Take hazmat shipping. Completing a Dangerous Goods declaration on paper can take up to an hour if you’re starting from scratch. Even if you know exactly which regulations apply to your shipment, it can take several minutes. Thankfully, many (if not most) organizations that ship hazmat have integrated software that streamlines this process. Labelmaster’s DGIS software can produce a fully validated DG declaration in as little as 13 seconds—along with guidelines that help shippers apply compliant marks and labels to avoid delays and penalties. And the paper declaration itself may soon be extinct. At September’s Dangerous Goods Symposium, IATA representatives previewed their state-of-the-art DG AutoCheck technology that helps air carriers’ acceptance personnel review and approve electronic waybills in minutes. 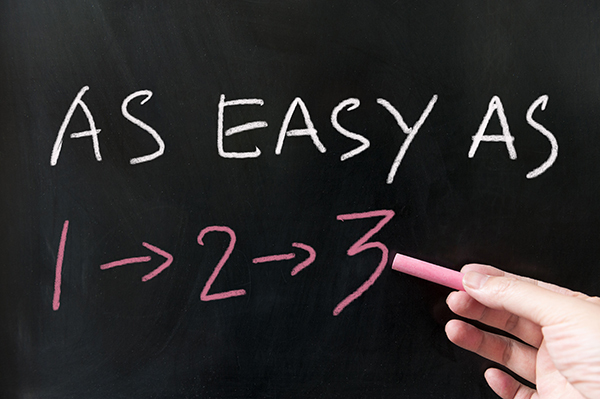 With manual, paper-based processes, that can take hours. Blockchain is an infinite, open-source virtual ledger with a permanent record of every transaction that’s relevant to any given shipment. With each new entry building on the code from previous entries, shippers and receivers get complete transparency into every link in the supply chain. That’s why giants such as Maersk, IBM and Walmart have made deep investments in the technology. 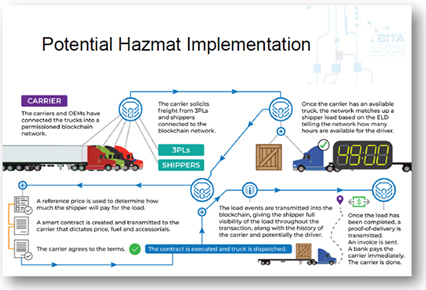 And at September’s Dangerous Goods Symposium, Dean Croke, Chief Analytics Officer of FreightWaves, shared a chart depicting a potential hazmat implementation of blockchain in which a smart contract connects shippers, carriers and 3PLs—in real time and with complete visibility. Compliance? What’s “modern” about that? It’s just a cost of doing business, right? Not anymore. As the supply chain industry modernizes and e-commerce explodes, customers’ expectations keep ratcheting up. Delays that used to be acceptable now send customers looking for new vendors. Margins for error dwindle and disappear. That’s why, for hazmat shippers in today’s supply chain, superior compliance has become a competitive edge. In the recent Global Dangerous Goods Confidence Outlook, 23% of hazmat pros said their companies view compliance as a competitive advantage. Another 54% wished their companies would understand that DG management could be a differentiator. This competitive advantage is deeper than merely avoiding the costs and delays of shipments stopped for noncompliance. Superior compliance forges stronger relationships among supply chain partners and reinforces the value of a company’s brand. These ABCs can be intimidating, especially if you can’t get the Jackson 5 out of your head your upper management doesn’t understand the potential value of a modernized hazmat compliance program. That’s why Labelmaster offers the expertise and the tools you need to compete in today’s supply chain. Contact us today to see how we can help make automation, blockchain and superior compliance part of your operation.